Belgium based Schreder decided to partner with Wipro Lighting as its vision matched with the company’s vision for India and to cater India’s ambitious programme to develop 100 smart cities in future. Wipro Lighting has recently inked a major partnership agreement with Belgium-based global lighting solutions company Schreder to market its smart and connected outdoor lighting products and solutions in India, an emerging business opportunity in the country’s ₹Rs 4,000 crore lighting market. The Consumer Care and Lighting business division of Wipro Enterprises will offer Belgian lighting manufacturer Schreder’s smart lighting solutions in India, the company said in a press release on Wednesday. 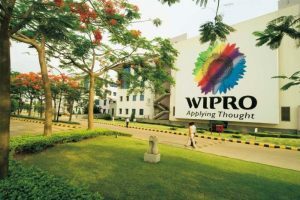 “As part of the agreement, Wipro Lighting will market Schreder’s lighting products and solutions in India,” said the city-based Wipro czar Azim Premji-owned company in a statement here. Wipro Lighting will sell Schreder’s ‘smart city’ products and ‘beyond lighting solutions’, which use Internet of Things (IoT)-based applications in smart cities and smart campuses, under the agreement, the statement said. As a one of the leading players in smart lighting products in the country, Wipro arm provides lighting solutions for indoor and outdoor across industry verticals, including retail, commercial offices and healthcare. Founded in 1907, Brussels-based Schreder has been designing lighting solutions for highways, motorways, tunnels, residential streets and monuments across the world. The Belgian firm, present in about 35 countries across the world, uses street lighting to support connectivity in smart cities. “Smart street lights are the gateway to a smart city and the company (Schreder) uses this infrastructure in towns and cities to provide people-centred smart devices with no investment,” the statement added. “India is growing at a fast pace and urbanisation is transforming the country. Lighting plays an important part in urban development and helps cities and localities become safe and smart,” said Wipro commercial lighting business head Anuj Dhir on the occasion. Through the partnership, Wipro Lighting can bring to India Schreder’s ‘Smart Streetlights’, ‘Smart Poles’ and much more, to empower smart cities of the sub-continent, Dhir added. According to Schreder’s chief regional officer for Asia, Middle East and Africa Carl Watson, the two lighting technology companies can together offer advanced smart lighting solutions to India.